"A decision has not been made." Sorry, Bachelor Nation, but you'll have to wait just a little bit longer to find out who will be your next Bachelorette as the powers that be are still knee-deep in the decision-making process as Colton Underwood's season of The Bachelor comes to an end. The silver lining? The start production on The Bachelorette is just around the corner, so an official announcement will likely go down, per recent tradition, at the After the Final Rose taping on March 12. Until then though? Let the speculation commence. "It really is an ongoing debate," host Chris Harrison told E! News at the Women Tell All taping when we asked about the next Bachelorette. "As much as it's raging on social media, that's the same thing that's going on behind the scenes with us." That means several women from Colton's current season are seriously being eyed as the franchise's next lead, and similar to viewers' feelings on the subject, producers kind of have the same mercurial approach when considering their final pick. "It really is a fluid situation because it will ebb and flow depending on what we see in what situation," Harrison admitted. Picking their Bachelorette is often a bit more of a gamble for producers, simply because the filming schedule tends to favor The Bachelor as they have a bit more time to make their decision. "What's great about this is that we have some time, we obviously have Paradise, it can air and we can see if anyone from there who's really popping," ABC's senior VP of reality and alternative programming Robert Mills once explained to us. When it comes to The Bachelorette, filming usually begins the same week The Bachelor's After the Final Rose special is taped, with the last two female leads Rachel Lindsay and Becca Kufrin meeting some of their suitors at the live special's taping just after they were officially announced as the Bachelorette. That often means the preference of the men they are casting as potential contestants can't really be taken into consideration as much as it is for the women being looked at for The Bachelor. Still, producers definitely read the feed, keeping a close eye on how Bachelor Nation reacts to contestants, yet try to remember that sometimes the loudest online feedback doesn't always represent the majority of the show's overall fanbase. Series creator Mike Fleiss loves to engage the viewers on Twitter, often asking for feedback. "Now who do you think should be our next #TheBachelorette?" he wrote on Feb. 18, before later adding, "Very close race..."
A week later, he once again tweeted about the topic, writing, "No official decision will be made until #BachelorNation weighs in..."
And, of course, there's gotta be that the hook and driving storyline that producers can ride throughout the season, with the show being given a true gift by Arie Luyendyk Jr. when he infamously blindsided Becca by dumping her for his original runner-up Lauren Burnham. Instant Bachelorette material. With Colton, the franchise got its first-ever virgin Bachelor and you know they milked that cow dry. Plus, he was the most popular guy from Becca's season on social media and earned a lot of sympathy during his run on Bachelor in Paradise after a somewhat aggressive Men Tell All outing. "We want to see the reaction of the audience, reaction from [the media], how they reacted to what happened," Harrison said of what they look for at the taping. Of course, there are still three women—Cassie, Hannah G. and Tayshia—left in the running, so Harrison said, "Obviously, how this plays out the next couple weeks will have a big say in this, too." As for the current Bachelor himself and which of his exes he'd sort of be OK with seeing date on TV? "There are multiple women that it would be great for," Colton told E! News, "and I would want to see every single woman on my season be the happiest and be in a relationship and be engaged and be married and be happy." Argument For: Miss Alabama 2018 managed to charm viewers with her goofiness and Southern charm, even managing to survive what could've been an epic two-on-one-in-the-making feud with Caelynn, her former pageant friend-turned-nemesis and come out of it unscathed, a rare Bachelor feat. "It would be something I would want to do if given the opportunity," Hannah told us after the WTA taping. "I would love the opportunity and to find somebody, I think it can happen here. I really, really believe in this being a way you can find your person." And, stick with us weirdly-obsessed-with-editing-and-promos-level viewers here, but anyone else notice that the hometown episode did not include the footage of Hannah making a surprise return, which was teased in the preview for the episode? Hm...could they have taken it out to avoid possibly sullying her great exit? After asking Twitter who should be the next Bachelorette, series creator Mike Fleiss cryptically tweeted, " To B, or not to B, that is the question? #TheBachelorette." It would be kind of fun to see her unleash Hannah Beast on the 30 guys, no? Similar to how Colton said he really learned a lot about himself during his time on The Bachelorette and Bachelor in Paradise before becoming the Bachelor, Hannah B. also felt changed by her time on the show. "Regardless of what anybody says, I thrived in that environment," she said. "I had ups and downs, absolutely, but I evolved as a person." But can we just say we can't deal with "Roll tide!" becoming Hannah's version of Becca Kufrin's "Let's do the damn thing!" We CAN'T. Most Memorable Moment: Sharing her horrifying sexual assault in detail on her first one-on-one date with Colton in order to raise awareness and inspire other survivors to come forward. Argument For: After bravely opening up about being sexual assaulted in college and speaking about the impact it has had on her life and relationships with poise, the Miss USA 2018 runner-up, already a fan-favorite, quickly became one of the frontrunners as the next Bachelorette. "Watching the season back and watching her speak her truth on her sexual assault, it brought me to tears," Onyeka Ehie said. "I think she'd be an amazing Bachelorette. She's a strong person, she'd hold down 30 guys, like, 'I got this!'" Aside from sharing one of the most compelling personal stories the franchise has ever aired, Caelynn also handled her "feud" with frenemy Hannah B. in a pretty refreshing way, choosing to squash it with this line: "It's hard enough as women and hard enough as we've both been through such tough things. Why not be supportive of one another?" Finally, Caelynn seems open to turning to the franchise to find love again, telling us, "I want to find my person. I don't know what that means, if that's Paradise, if it's Tinder, if that's in a library...I'm determined to find my person." Also, is she even ready to date yet after being blindsided by Colton sending her home? "I'm still processing this heartbreak," she admitted to us. Most Memorable Moment: Um, every single time she appeared on-screen? Imagine this season without her. Oh wait, you can't. If we have to pick though, we'll go with picking her one-on-one time with Colton on a group date as the perfect moment to call her mom, who had been released from federal prison while she was on the show, for the first time since she had gotten out. Or maybe when she managed to pick off all of her frenemies in the house in a single episode, putting the cherry on top of her impressive game-play by blowing them a kiss goodbye with her rose? Argument For: From her first moment on-screen, Demi was compared to Corinne Olympios from Nick Viall's season. But we think she quickly proved to be a more self-aware and confident contestant, fully acknowledging and embracing the fact that she grew up watching the show and knows how it works. It also says a lot that most of the women in the house seem to really like her. Argument Against: Can the "villain" (we put this in quotes because she really didn't do anything to turn the entire house against her and often encouraged the other women to speak to Colton) or comedic relief really become the lead? It's never been done before and for good reason. While viewers were surprised by the serious side of Demi they saw when Colton sent her home, it might still be hard for fans to invest in her romantic journey if it's not on a beach in Mexico this summer. And we must dock points for the amount of times she talked about being the one to take Colton's virginity. Not cool. Most Memorable Moment: Her one-on-one date with Colton, which was just the two of them unable to stop making out for approximately 12 hours on a private island and marked her as the frontrunner of the season. But the hometown episode also revealed Cassie's awareness of the Bachelor bubble, with the aspiring speech pathologist refusing to use the L-word with Colton until she's absolutely sure she means it. Argument For: People like her! They really, really like her! She currently has the most followers on Instagram and is probably the most popular contestant from Colton's season heading into the last two episodes, and while the Bachelor picks tend to court controversy and inspire some backlash, the Bachelorette is usually universally liked. Granted, this could all change depending on how the rest of the season goes, but right now, Cassie has been pretty beloved. Argument Against: While it didn't seem to impact her the same way it did her BFF Caelynn in the house, she was also accused of talking about being the next Bachelorette and life after the show. Another big concern for some viewers is the fact that Cassie was actually on a reality show before The Bachelorette, which also centered on her love life. The show was called Young Once and followed "a diverse group of recent graduates from Christian college who are now navigating dating, marriage, debts, and career decisions against the backdrop of life in Southern California." While it was filmed four years ago, the show did a follow-up on the cast that filmed just before Cassie left to go on The Bachelor, with her ex-boyfriend taking to Instagram to defend her as they were not officially together when season two filmed. Cassie then explained the situation herself, writing, "One of the storylines highlighted is our drawn out/complex relationship and the challenges of us staying friends post breakup and whether it is possible or not." 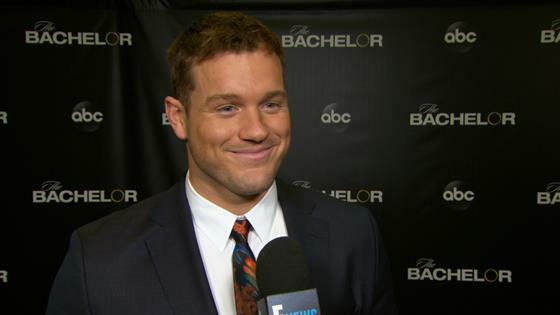 Most Memorable Moment: Um, her one-on-one date with Colton, when their spa date almost took a turn for the NC-17?! Seriously, they couldn't keep their hands off each other, even if front of the massage therapists who were supposed to have their hands on the pair. Argument For: Given the first impression rose by Colton and one of the women with the largest social media following, it's clear Hannah G. can make quite an impression, even when given less screen time than some of the other contestants. Plus, she's a "content creator" (aka an Instagram influencer), so no need to worry about her taking on the role so many would use to get the job she already has! Argument Against: Quick, name something aside from making out with Colton that Hannah G. has really done this season that sticks out for you! We're waiting! Sure, we've been given brief glimpses at her personality (her rap at the end of the hometown episode was cute) but a handful of moments does not a Bachelorette make. Basically, she really needs to bring the emotion in the final run of episodes (and possibly at the After the Final Rose, depending on how the season ends) to land the gig if she's not Colton's final pick. Most Memorable Moment: Aside from being Colton's go-to date for all things adrenaline (Bungee jumping and sky-diving, oh my! ), Tayshia was also his go-to when he needed the tea spilled on the other women in the house and their intentions. Argument For: Heading into the last run of episodes, Tayshia is the most mature and experienced of the remaining women when it comes to relationships and seems to know, for sure, what she wants. On her first one-on-one date, the phlebotomist revealed she was divorced having married her first boyfriend and they were together for six years before splitting. While she admitted to initially struggling after the divorce, she is ready to find love again. "My divorced used to be something I was ashamed of," she wrote on Instagram after the episode aired, "Because to me it represented, not only to myself but to everyone that knew me, that I had failed at marriage, something I value so highly. It made me question my worth and completely dimmed the light inside of me that used to shine so brightly." Argument Against: While she handled any drama in the house pretty well, she still was subtly stirring the pot, being the one to finally drop the bomb on Colton that two of his frontrunners had Bachelorette hopes. Usually, snitching never bodes well when it comes to next-lead-material. And while Tayshia's emotional maturity is great IRL, this franchise lives and dies by the slow-yet-assured deterioration of its lead's logic and emotions as the season goes on. Gasp, have we found someone too stable normal to be the Bachelorette? While the franchise is not expected to go with a blast from the past for several reasons (1. the Bachelorette has never done that and 2. Arie Luyendyk Jr.'s season didn't exactly go as expected), if they did, the nurse from Nashville would be the go-to move. A fan-favorite since her debut during Nick Viall's season, Danielle, 33, has remained a consistently visible member of Bachelor nation, thanks to sympathetic turn on Bachelor in Paradise and even more sympathetic turn in recent tabloid headlines after it was revealed her ex-boyfriend Paulie Calafiore (of Big Brother fame) was cheating on her with his The Challenge co-star, Cara Maria Sorbello. In fact, Danielle (who has 352,000 Insta followers, in case you were wondering) is so beloved that Jimmy Kimmel recently had her on his show for a segment called The Matchelor, which was all about him helping her find love online, and is Kaitlyn Bristowe's pick. Alas, the chances of producers of picking a woman outside of Colton's season are pretty slim. The Bachelor airs Mondays at 8 p.m., and the Women Tell All special will air Tuesday, March 5, at 8 p.m. on ABC.